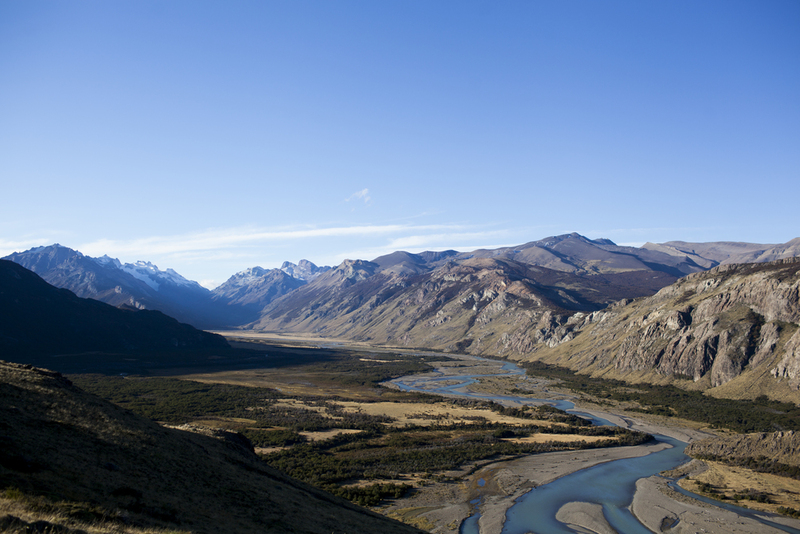 Everything we read and everyone we spoke with confirmed this was the hike to do in Chalten. The main attraction, the real deal, the big empanada, if you will. Nine kilometers of gorgeous hiking followed by 1.2 km of straight elevation to reach the lovely Laguna de Los Tres. We cooked breakfast in our cabin and left on the early side, ham sandwiches modified with some honey mustard and sun dried tomatoes in olive oil in tow. I'm not sure those sandwiches will catch on in Chalten, but if they do, let's hope they call it a Moonberg. The views on the hike unfold before you almost immediately with shots up into the valley in front of you and back towards town behind. Two or three km into it and you're over the hill and into the valley of the Rio Blanco (I think?) 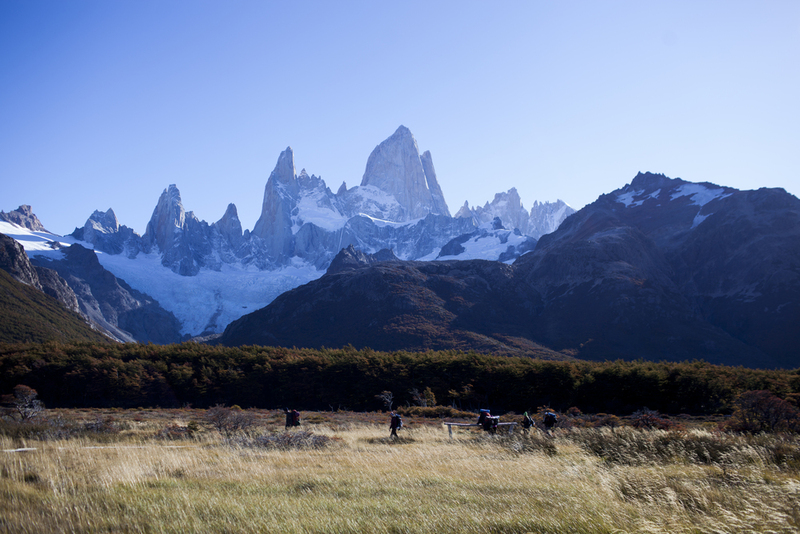 and the Fitz Roy massif is there as always, appearing larger than life. The trekking is easy from that point, though when you look at the images of the mountain below, you can see the trail to the top scratched out among the llengas, reminding you and your legs of the numerous steps in your future. As we passed through the campground just before the incline, I was instantly ready to trade our cabin for the convenience of being so close to the mountain and the many photographic possibilities. Next trip, we're definitely staying a few days out there, austral winds or not. One of the best novelties of the entire trip was filling our water bottles with water straight from the Rio Blanco, no filtration or anything. After filling up, we spent almost a full hour slowly stepping up, trying to keep cadence with these Japanese folks in front of us who were so calmly and effortlessly choosing their steps and practically strolling up the mountainside. At the top, the view speaks for itself. You can see me down on the peninsula in one of the images to give you a sense of scale. We stayed up there for about an hour before starting the long trek home. We made decent time, getting off the trail before the sun set completely. Though it was probably a symptom of some kind of exhaustion, the whole trek out seemed to go by in a warm blur. We were both really jazzed about being in this special place, still within the first few days of our trip. Our first stop before going home was a wine bar at the edge of town for some Malbec and lamb lasagna as a pre dinner snack. I think we'd both recommend the former over the latter. After a shower and some coaxing, we found ourselves at a burger bar where everyone knew only enough english to sing all the words to Aerosmith songs.